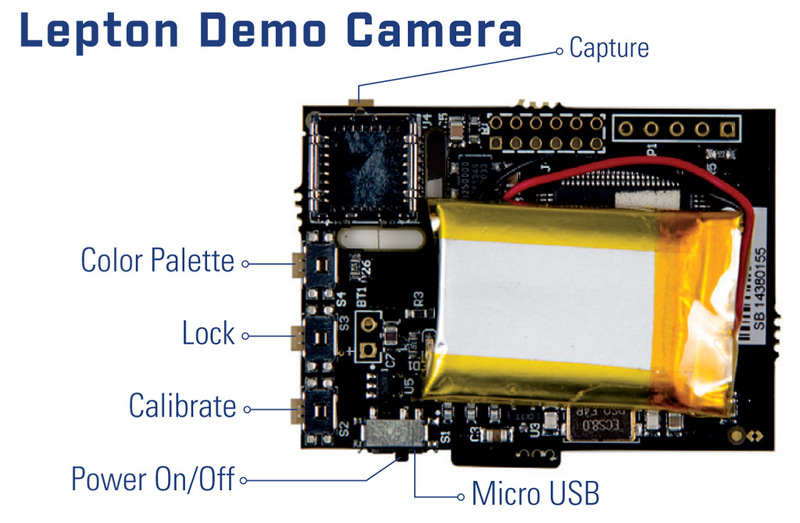 Another interesting project from the same guys that brought the Lepton breakout board – Pure Engineering is the Lepton Demo Camera that can turn a FLIR Lepton thermal imaging sensor into a portable thermal camera. The project is basically a for the internals of a tiny digital camera that can take thermal photos onto a microSD card and view a live feed from the thermal sensor on the LCD screen. 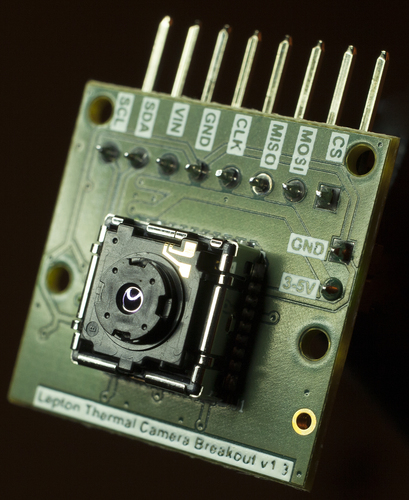 The FLIR Lepton Demo Camera kit comes without the Lepton thermal sensor, you need to source that separately. The camera kit is available from GroupGet at a price of $150 USD and minimum order quantity is 25 units – meaning that 25 people are needed to fulfill the group get too be successful. It is definitely an interesting project that will allow you to have a really portable battery-powered thermal imaging camera based on the FLIR Lepton thermal imager. SparkFun has made available a new interesting development kit that allows you to get your hands on a FLIR Lepton thermal imaging sensor along with a breakout board specially developed for it in a single package that you can order. There are alternative ways in which you can get the Lepton thermal sensor such as a group buy or by purchasing a complete FLIR ONE Thermal Imaging Accessory for iPhone 5 and iPhone 5S and disassembling it to take out the sensor from it. But you also need to get the breakout board fr the sensor developed by Pure Engineering as well. The FLiR Dev Kit offered by SparkFun has the breakout board as well as a the Lepton longwave infrared (LWIR) imager and is available for $349.95 USD, making it easy to get everything you need to start developing your own thermal imaging projects with an Arduino, Raspberry Pi or an ARM based development tool. Note that sourcing the sensor separately and the breakout board as well you could end up with a slightly lower cost, but it could take more time or efforts to get your hands on the hardware, so the SparkFun kit can be an interesting alternative if they have it in stock. 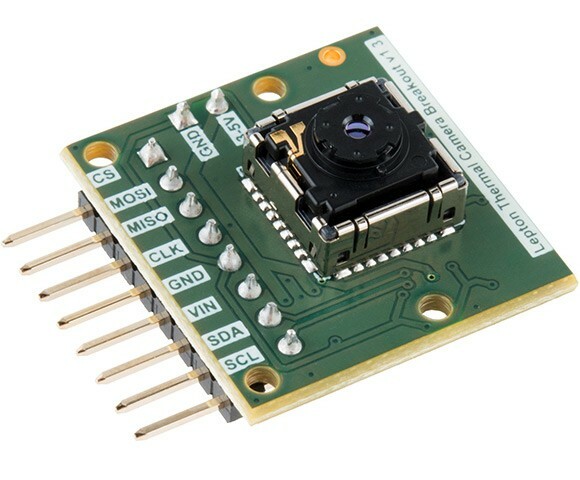 The FLIR Lepton thermal imaging sensor is a smaller resolution (80×60 pixels) and affordable priced sensor designed for use in mobile devices providing an affordable thermal imaging capabilities. This is the thermal imaging sensor that is used by FLIR in their FLIR ONE thermal imaging accessory for the Apple iPhone 5 and 5S. The DIY and hardware hacking community has already worked up on a solution to use the FLIR Leptopn sensor along with a custom developed breakout board for various projects. But since FLIR does not sell single units separately, but takes only large orders for the sensors it is hard to get a Lepton sensor to experiment with. One way to do so is to buy a FLIR ONE disassemble the device and take out sensor, the alternative is to go for a group buy. There is a GroupGet campaign for the FLIR Lepton Thermal Camera Core currently running that can help you get a single or a few units for $207.60 USD each and you can also get a breakout board for $45 USD each. This will allow you to interface the Lepton thermal imaging sensor to a custom controller and add thermal imaging capabilities to a project you are working on such as a robot or a drone for example.